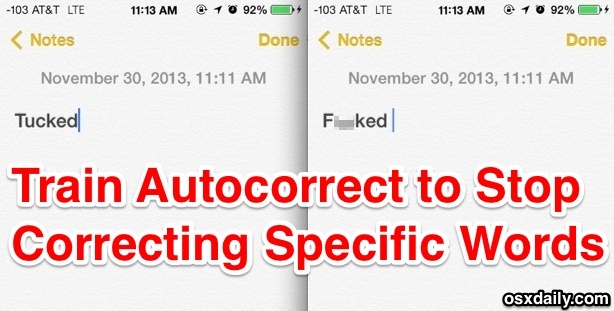 Now go back to any text editor, Messages, etc, to type the originally intended word – no more autocorrecting it! 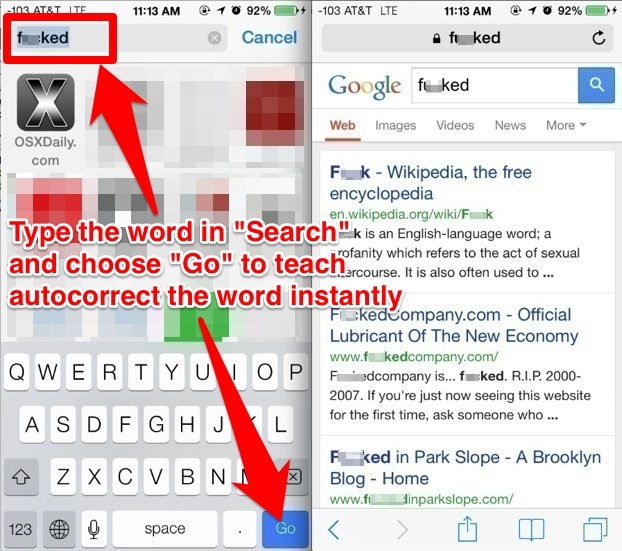 If you put a typo into the Safari search box and now autocorrect is making things even worse, you can always start over again by resetting the entire autocorrect dictionary within iOS to the defaults, just keep in mind that everything autocorrect related will be cleared out and all of your typing corrections and learning will start from scratch with that approach. Overall this is probably a better trick than using the shortcuts method because it won’t clutter up the Keyboard Shortcuts and text expansion, which is better used as intended for quickly typing out things like email addresses, long names, and phrases. Heads up to Gizmodo for the excellent find! With this info maybe I can stop tucking around and get some work done. This did not work for me. “were” still keeps getting changed to “we’re” for me. That’s because they are two different words used in different ways. For we’re, I just the shortcut “wr”. Always does the trick for me. 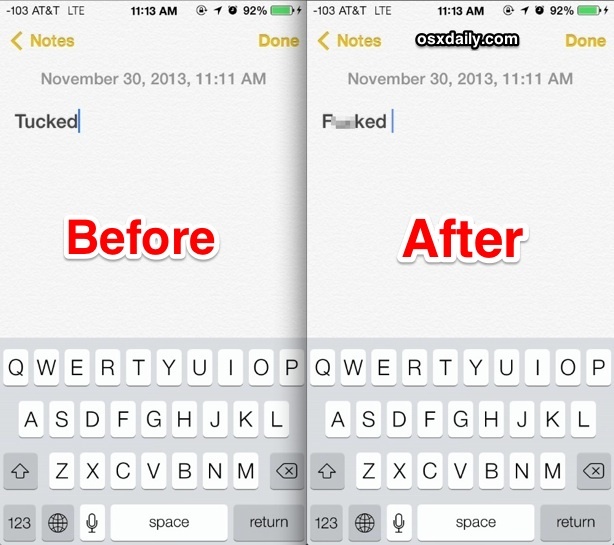 Of course, you can make your own shortcuts to differentiate words. My husband and I keep texting about getting new windows for our house, not “Windows”. One evening I about threw my phone out one of the “Windows”. Not working really great on latest os on iphone. I tried both ways – safari (which I never use as a normal browser) and entering words into notes. At least the word would sometimes show in the options but not if I swyped – had to type it. I’m guessing it is datascraping contacts,any websites visited regardless of browser, etc. because I am still inundated with proper nouns surnames etc. I’ve never typed CBS but it comes up I’m guessing because I stream there. Allinall very nonproductive – would send me back to android if they hadn’t followed suit and overdone this “feature”.